Since I was making Russian beef borscht for Christmas eve, I started looking for a Russian dessert. 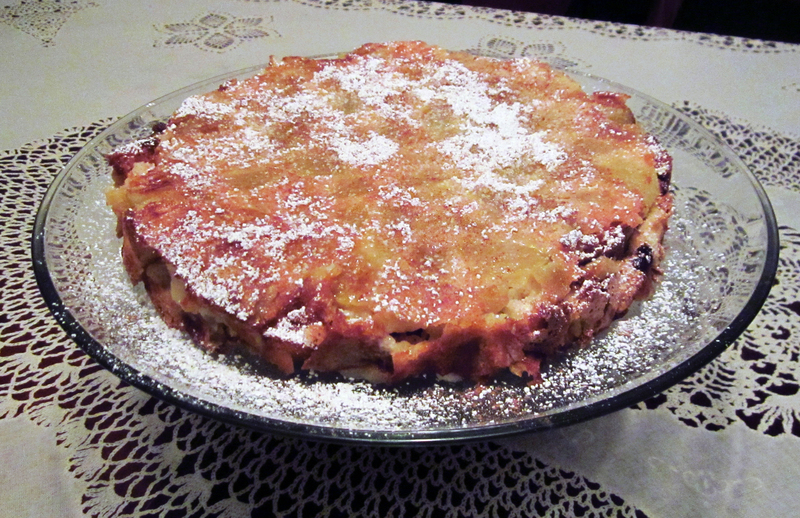 I found an apple sharlotka recipe online….and knew it had to be good since it had over 658 comments! I had never seen so many comments to a single post on a food blog. The only thing I did differently was use Bob’s Red Mill gluten-free all-purpose flour. Next time, I think I’ll add some baking powder so it gets a little taller. Plus, I need to grease the sides better since some of it stuck to the pan and broke off when I removed the spring-form. You can find the recipe on the Smitten Kitchen website.